Writing effective communications to companies is often an important part of a non-profit organisation's money raising strategy. This might involve anything from a simple request to a company for a raffle prize, to asking someone to sponsor an entire charity programme, sports team or event. In all cases a carefully targeted, well written letter is vital. Writing good fundraising copy can be a daunting task for some people. But it needn't be complicated. Have a clear idea what it is you are asking for......and ask for it! If you are not sure exactly what it is you are after how is the recipient to know? If your request is hidden beneath paragraphs of waffle how will it be found? If you are writing on a computer you may even like to type "the ask" into your letter first- halfway down the page. Nice and clear and simple. Then you can put the rest of your brilliant fundraising letter together around it. So do you know what it is you are going to ask for?.......... Great now here are a few simple rules that will make life easier for both the writer and the recipient. Here is where you need to do a little research. Find out who it is you need to address your letter to? Who deals with these requests? To find out you can ring the company or visit their website. If you know someone who works there see if they can find out for you. You look more professional and business-like - a good home for that company's donation. A personal dialogue with a named individual is more likely to receive a favourable response. Unless properly targeted your letter may spend ages "doing the rounds of various departments (and it will not be anyone's top priority) until it eventually stumbles its way on to the right desk 3 weeks later! If you do find out all the correct information don't forget to record it in a contacts folder. It may be wanted again in the future. Use a headline at the top of the page to instantly explain what it is about. This is particularly important when writing to larger organisations who may be dealing with a considerable number of requests from different people.......................you didn't think you were the only group writing to that chocolate company asking for a raffle prize did you?! A good headline should come above the main body of your letter in a slightly bigger bold font. Keep it short and simple. Of course you need to tell them a bit about your group but keep it quite general. Choose your words carefully -your cause may be the most important thing on the planet....to you....but not to everyone. Use a couple of good descriptive sentences but be wary of "over-egging the pudding". Do not include detailed facts and figures or mission statements. It is the stories that will make the connection with people, make sure you are telling a good story. Find out more about telling stories in your fundraising letters. Let them know exactly who they should contact in your organisation for more information. If this is not you ensure you brief other people about the fundraising letters you are sending out. If your organisation has headed paper do use it. If you have a charity registration number put it at the top of all correspondence. Remember you are trying to build a relationship or at least make a connection. The personal touch works. 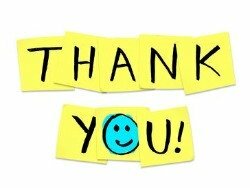 If you do get a good response from your request write them a note to say thank you. Let them know how much you raised and how popular it all was etc. This is both polite but also makes good sense- you may want to approach the same company again in the future. Fundraising Publicity - Guidelines For Working With The Local Press. 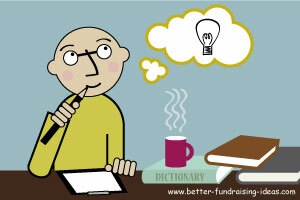 Check out the fundraising letter writing guides and books.